yes, it is real. or 12 pack for your enjoyment. Lol awesome! Bring on the potions of healing!! It comes with a free Drow Assassin figure. ...beware if we see Mart drinking any of these next session. Why would anyone DRINK "Sneak Attack"? It probably surprises your intestines and does 5d6 damage to your toilet! there is no mention of what the flavors are but......bring on Bigsby's thrist quencher!!! 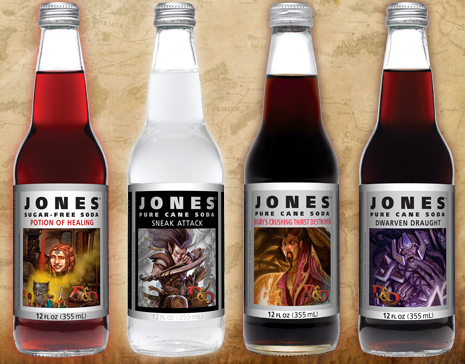 Subject: Re: DND/ Jones soda ?? ?